D'you mind if he puts his Adamantium claws around you? 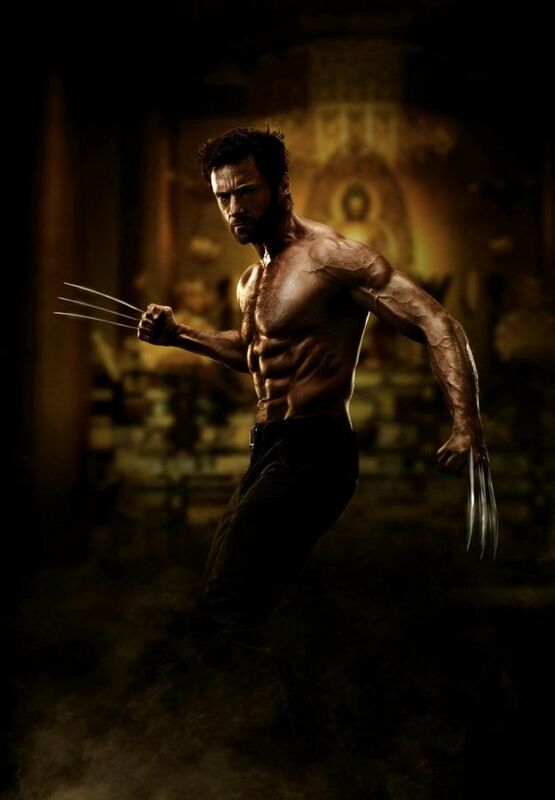 Twentieth Century-Fox has released the first official photo of an extremely lean and ripped Hugh Jackman in James Mangold's film adaption of Frank Miller and Chris Claremont's 1982 limited comic series classic, The Wolverine. The superhero's sinewy look appears to jibe with comments that Jackman made to Empire magazine that he had Robert De Niro's unhinged performance as Max Cady in Martin Scorsese's 1991 remake of Cape Fear as a benchmark for his performance. "You were terrified of that character from the moment he took his shirt off and you saw all the tats; you know he was this coiled spring that would rip your head off, no matter how nonchalant he acted. That's who Wolverine is. I always thought of him as being lean, animalistic, not necessarily pretty. He has all this berserkery, and he's terrifying when he loses all reason in blind rage." It's hard to tell from the pic, but... is Wolverine now shaving his chest? Because that would be bad. That would be very, very bad. Actually, it looks finely stubbled. Wolverine has gone metrosexual. Cue the Spider-Man jokes.